We all know that the Internet can be your most resourceful tool to source information, yet at the same time, give you tons of information that you don’t really need. 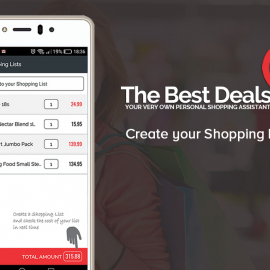 The Best Deals Mobile App and Website is more than just a Personal Shopper. The platform and mobile app is designed to give you retail shopping information based on WHAT you need, WHEN you need it, and WHERE you need it. 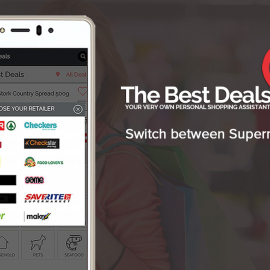 The Best Deals is a mobile app that is, in essence, the first fully integrated Comparative Shopping Engine, focusing specifically at Supermarkets. You can say, we are the Google for Supermarkets and Groceries. Using Location based Technology, The Best Deals plays a pivotal role in giving you, The Consumer, the Best Deals wherever you are, based on your preferences. The App aggregates the content, filters the content based on your individual profile and returns data to you. how, where and when you need it. Well, as Consumers we are so used to watching out for the newspaper to be delivered in our postbox, Then we it arrives, we quickly browse all the Supermarket Brochures to see which Supermarket is having the best deals around. 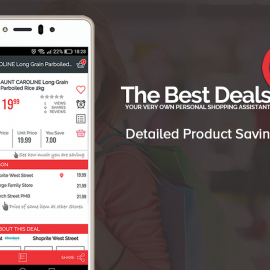 The Best Deals App is the digital version of those adverts. No more waiting for adverts to be dropped into our postboxes, its now readily available on our phones. 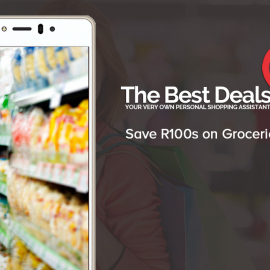 As soon as the Supermarket launches their Campaign, the content is delivered to our phones in real time. how cool is that. Retailers login to a Backoffice Console and theyr control their campaigns from there. The real winners here are the Consumers like you and me, who are looking for the best deal every time. If youa re connected to a Store, then as soon as that Promotion launches, you receive a notification from the App. Its so brilliant that if a Store, that you dont normally shop at, is running a Promotion, you can be notified of the deals, as well. Works on your Computer, Mobile Phones and iPads and Tablets. Single sign-on allows you to browse on multiple devices. Customise your Notifications and Alerts to what suits you best. Get Notified when Deals re activated; Alerts on your Favourite items going on Promotion; Notifications when you are near a Promotion, etc. etc. Review and Share-a-Deal with Friends and family, over Facebook, Twitter, Google, WhatsApp and Email. Spread the word and get everybody saving. Here's the Deal. Every time you share a deal on Social Media, you earn loyalty points. Only you can decide how to redeem those points: Shopping vouchers; Gifts; Pamper Sessions; the choice is yours.